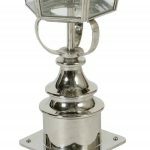 The Chelsea Georgian period outdoor short post lantern in polished nickel, a replica outdoor pillar lantern. 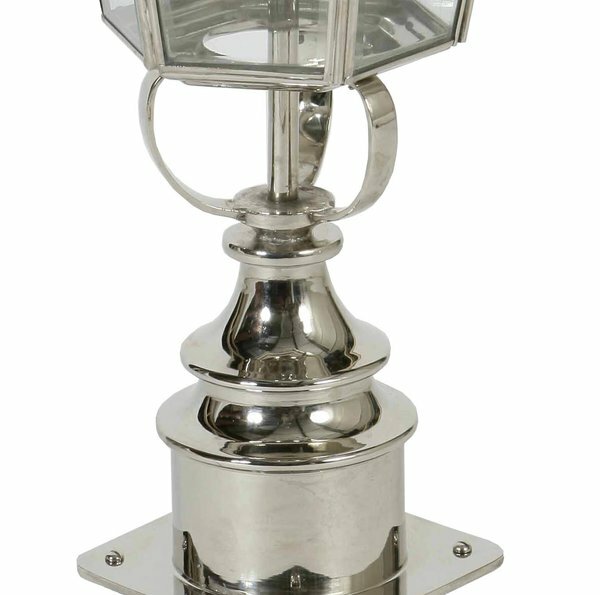 Heavy detailed solid brass short pillar with a hexagonal lantern and clear lantern panels, handmade to the highest standard. 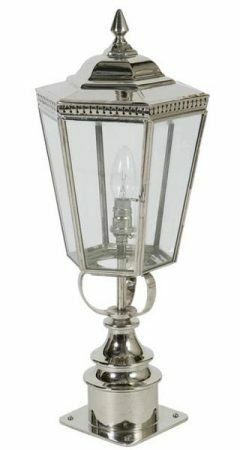 Rated IP23 and suitable for exterior use.